With over 45,000 enrolments each year, TAFE NSW North Coast is one of the largest regional training providers in Australia. A division of TAFE NSW, it offers a variety of flexible study options, including online, workplace and on-campus delivery modes – with 16 state-of-the-art campuses to choose from! TAFE NSW North Coast’s nationally recognised course range runs the gamut from accounting and finance to community services, beauty, hospitality and beyond, so you’re bound to find a course that meets your needs. You can expect a student-focused and personalised learning experience, with support from expert industry professionals every step of the way. 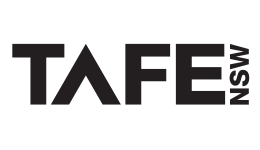 TAFE NSW North Coast is a provider of online courses for Open Colleges.